THIS POST WILL REMAIN AT THE TOP OF OUR BLOG UNTILTHE WINNER IS ANNOUNCED AND THE PRIZE HAS BEEN CLAIMED. FOR MORE RECENT POSTS PLEASE SCROLL DOWN. For those with blogs - to enter all you need to do is leave a comment below this post and spread the word on your blog by putting a picture of this blog candy onto your blog linking it back to this post. If you would like to sign up to become a follower that would be great, as we'd really love you to follow our blog, but is not a requirement. Unfortunately due to postal costs, this time, the candy is only open to UK residents. This candy will run from today until midnight on Monday 14th September. The winner will be selected at random and announced by Wednesday 16th September. We will not contact you direct so you will need to check back then to see if you have won. Further details will then be posted on how to claim your candy! If the prize has not been claimed by midday Friday 18th September a new winner will be drawn. Oooh what a fab package to win. 12 months since I went on holiday nearly - so this would make my staycation complete - a little taste of France! What great candy !! Lots to get you inspired - I'll be keeping my fingers crossed till the draw!! Wow, thanks for the great chance to win. I spread the word on my blog and I am now a follower. Thanks again. Whoever gets this lovely lot will be thrilled. What an awesome candy package. I will post you giveaway on my blog. Sorry Jill. I've had visitors until over the weekend until about an hour ago so only just seen your lovely Blog Candy. I've followed your blog since the beginning and I've put the candy in my sidebar anyway for anyone that might see it before midnight. Thanks for giving us the chance to win this lovely stuff. I follow your blog daily Jill, what fab candy this time. I have loved your posts on the different stains, this is one of my favourites, so keeping fingers crossed that I maybe the lucky one. Off to put a link on my sidebar. Wow what a great candy giveaway and a fab blog, thanks so much. Following so my details on there. Wow!! What fab' bog candy. You are a very generous lady. I too have followed your blog from day one albeit a bit irregularly due to ill health. Don't have a blog of my own so can't help to spread the news. Great candy thanks for the chance to win. Link is on my sidebar. wow would love to win these. I'm already a follower and will advertise the candy on my blog. Thank's for the chance to win this candy', I would love to get some of your starburt's..
Love the eye candy ,great idea! Any sign of new C&C programmes or another DVD ? the last one was brilliant. Great candy - i have put a link on my blog. Great candy! Thank you for the chance to win it. I am already a follower and have put the picture, linked back to this post, on my sidebar. If this package is as good as your shop in skipton used to be (and I'm sure it is) I would be in 7th heaven to be a winner. PS couldn't find out where your new premises are so pleased to have found your blog. Pam J, have just found this blog and looking forward to following it, together with an entry to the draw it feels like Christmas. What bootylicious Candy you have on offer. 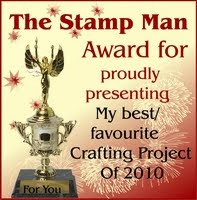 This is my 1st go at winning some gorgeous goodies and where better to start than with the Stampman. My blog is very new but please do come and visit. Though haven't ordered from you yet, but browsed a lot, and the order will soon go - unless I am the winner. Love the shop and the blog! Wish you had been in Skipton when we lived there! I'd like to be entered in this,please. I have put the link on my site. This is my first visit, so I'm really looking forward to the treat of reading the blog backlog (try saying that 3 times fast) and (tho' it seems a bit presumptuous on first acquaintance) hope to be lucky! Just had a look at the shop .. very inspiring..... keeping my fingers crossed and hope to be lucky with the draw. Such inspiring candy! What a wonderful gift - I love starburst stains. Thanks for the chance to win some more! It was lovely to see you both on Saturday - when we at last found the shop!! I really will get my starburst stains out and try to do one of those books before Harrogate. Would love to win these and have a play,now to try to get the link in! Oh Wow! That is truly wonderful blog candy. I have linked to it here. I'm glad I haven't missed this Jill, you are so generous to give us the chance to win such lovely stuff. I have put a link on my sidebar. Thanks for the opportunity! I'd love to play with some starburst stains - I've heard so much about them! Oh boy! What a great giveaway. Love the candy. Oh what fabby candy, I have added it to my sidebar. what a fab candy! Thanks for giving the chance to win. Hi Jill, I'm not a great blog follower but I have seen some of what you've been doing with the starburst stains and I love them. I've only got one set so far so the chance to win this would be great. Love these colours. I'm loving your blog, great ideas and inspirations. I love the staburst stains and it would be great to add to my collection. Looking forward to visiting your shop in October. Lovely blog candy! Thanks for the chance to win! I have put a link on my blog. What a great giveaway. Thanks for the chance to win. I'm a follower. Sorry I don't have a blog. Love these colours so I'm keeping my fingers crossed! Hi!!!!!!!! Thanks for the chance to win. I'm follower and post this candy in my blog. I have been playing with my cosmic shimmers and made some books I must get around to photographing them. 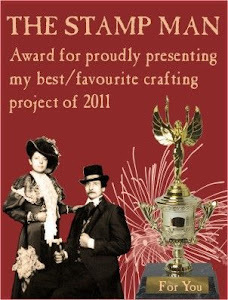 I have seen the Moonglow products demonstrated on Create and Craft but have never yet bought any so thanks for the chance to win. thus which I am to say there? I am speechless and totally enthusiastically of this blog, I browse gladly here and look at myself much. I find these things here totally fantastically, excellent!!! I would like to use my chance with this great Candy and try my luck. I would make friend leaps, if I should win this Candy: -)) Have a beautiful day, remain so creative and continue to inspire me with such mad, partly unbelievable works. I linked you in my Sidebar with photo and am from now on a pursuer of your mad blog. These look fantastic, never used any of the Moonglow products. Winning these wwould be an ideal time to try them out!!! Thanks for the chance to win this wonderful candy :-) Follow the link and you'll my link to your candy. thx for the chance to win this candy! 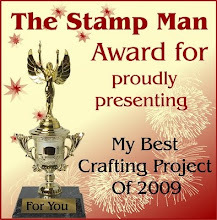 Hi Jill, Wo what a fantastic stash of goodies, I have yet to try these stains so to have the chance to win some is very generous, thank you, and thank you also for the sneeky peak of the new stamps, they look amazing. Hi Jill! lovely blog candy!! thanks for the chance to win :) Im going to link your blog right now! A great blog and great candy! Fab candy, I'm already a follower, but have left a link on my sidebar ! great candy! look forward to reading more. What a wonderful blog candy! I already own your DVD and it's full of inspiration. I would love to win the candy anyway. Thanks for the opportunity. Have a link on my blog. Wow! Thanks for the great chance to win. I'll spread the word on my blog. Can't tell you how excited I am about the new music stamps. We spoke about them before you moved premises so I've been anticipating them for ages. I really hope you have them in Harrogate tomorrow. Love the fabulous candy too. That purply colour I can see in the picture is one of my favourites and I have a head full of ideas for colourful musical projects. Just found your blog and whooppee, Blog Candy. I have a few of these stains, but would love some more. Fantastic blog candy. Have put a link on my side bar. Thanks for the chance to win! Good to see you at Harrogate, hope it went well for you. I'm already a follower and have put a link on my blog, fingers crossed now as I would love to be the lucky one. Great candy, I linked the picture on my blog ... thanx for the opportunity to win! OMG I nearly missed this fab candy!!! I've put a link on my sidebar for you and I'm already follower your blog. Just found your blog and will spread the word - loving all your stamps and goodies and thank you for the chance to win your candy. It is just fab for us non bloggers to get a chance of winning some super candy. Blog Candy prize now claimed! Blog candy ends at midnight! Been away with the fairies! New stamp sheets - a sneak peek! HURRAY! Website has been fixed!!! Happy 40th Birthday to Kay!